Is something fishy in Scottish waters? Last week we renewed our focus on the Brexit issues and this time we will follow suit by further looking at the importance of the Scottish fishing industry and trade and the future fishing management in post Brexit UK. It is very clear that the EU is the most significant overseas market for seafood products from Scotland. In 2016 this market accounted for about 78% of the seafood exports and was worth about £601 million. In terms of the most important markets four of the top 5 destinations are France, the Netherlands, Ireland, and Spain. 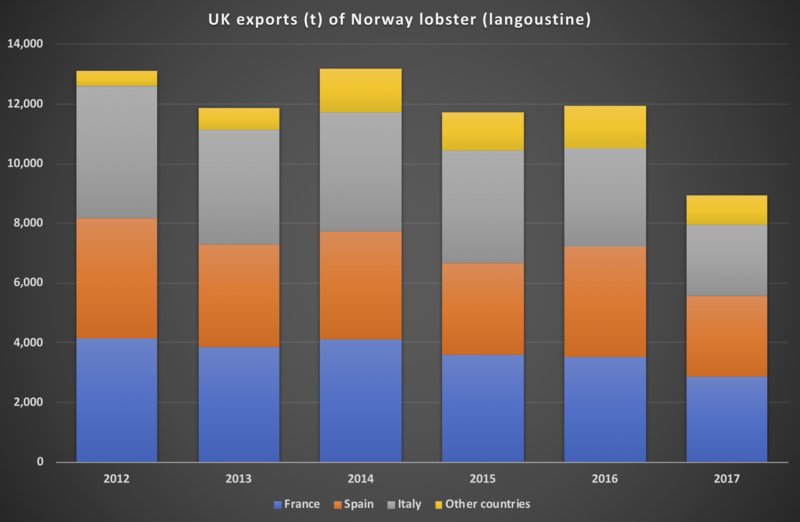 Depending on the species they key markets differ but for Norway lobster (langoustine) UK accounts for more than half of the global exports of which France, Spain and Italy account for approximately 90% of the global imports. It is not only the products from fisheries that are important as the overwhelming majority of farmed salmon comes from Scotland. It is therefore vital for the industry that the trade will continue unhindered post Brexit. The Scottish government has estimated that if WTO tariffs were to be introduced post Brexit then than would mean tariffs between 7% and 13% on the seafood exports from Scotland. 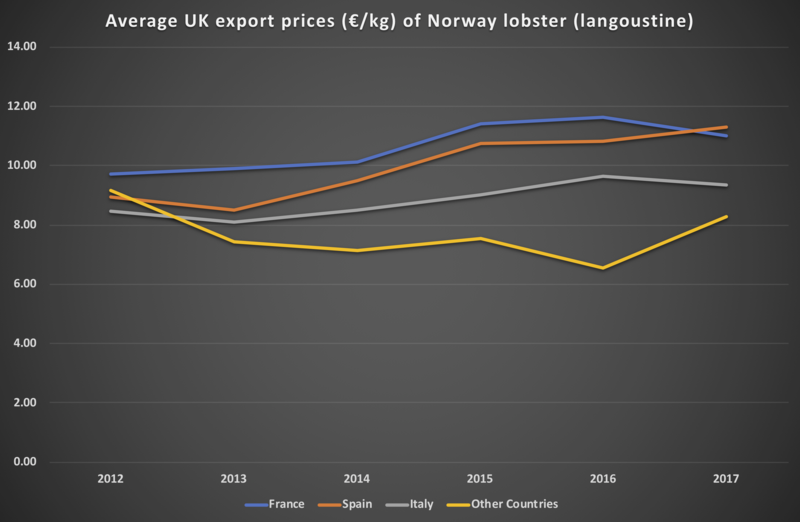 The export price premium to France, Spain, and Italy for the Norway lobster in 2017 is 33%, 36%, and 13% compared to all other countries. Any additional tariffs would then go a long way to eliminate this export price premium. From the EU negotiators point of view it is unlikely that they will agree to unlimited tariff free access should EU vessels be booted out of Scottish waters. The key question to ask the UK negotiators is then what is the likely compromise and will that involve EU access to UK waters. To find out more about exports from the Scotland and fishing policy following our analysis on seadatacenter.com. Please contact us at info@seadatacenter.com for more information.